I totally understand how traumatizing it is to have acne – and how it is so tempting to do ANYTHING to get rid of it NOW. But hold on. Some of the treatment options out there can actually make matters worse – and the birth control pill is one of the biggest offenders. When I was in my early twenties my doctor suggested I try the birth control pill to clear up my mild acne. This was a no-brainer for me. It got rid of my acne and was a reliable form of birth control. Done and done. It was also the early 1990s and I had no idea that the pill could be a problem. Nearly 10 years later I decided to stop the birth control pill. I wanted to start a family in the future, and as a yogi and a Naturopathic Doctor the pill no longer resonated with how I wanted to live my life. And that is when my life completely changed. Within a week of stopping the birth control pill my face started to flare up in huge, awful, painful cysts. I had never experienced anything like it – it was so much worse than the mild acne that I had experienced before the pill. To add insult to injury, my hair also started to fall out. My hair had always been fine, but I had plenty of it. Now, post-pill, I had fine AND thin hair – and an inflamed face. Between my awful acne and thinning hair, I no longer felt beautiful. My self-confidence plummeted and my passion for living seemed to completely vanish. All I wanted to do was hide away from the world. Why did this happen to me? And why is it happening to millions of women around the world? Post-pill acne and hair loss are real things. First of all, the birth control pill shuts down natural estrogen and progesterone production in the body. Totally and completely. Instead, synthetic hormones replace the natural hormones that your body makes and a slew of side effects can present themselves. Blood clots, depression, insulin dysregulation, weight gain, and a reduced libido are a few common side effects. But rebound acne and hair loss are not as well-known, but just as devastating and common. The birth control pill contains synthetic estrogens and progestins, and there are two different classes of pill. The bottom line is that the birth control pill will most likely cause hair loss and worsen acne in susceptible women. 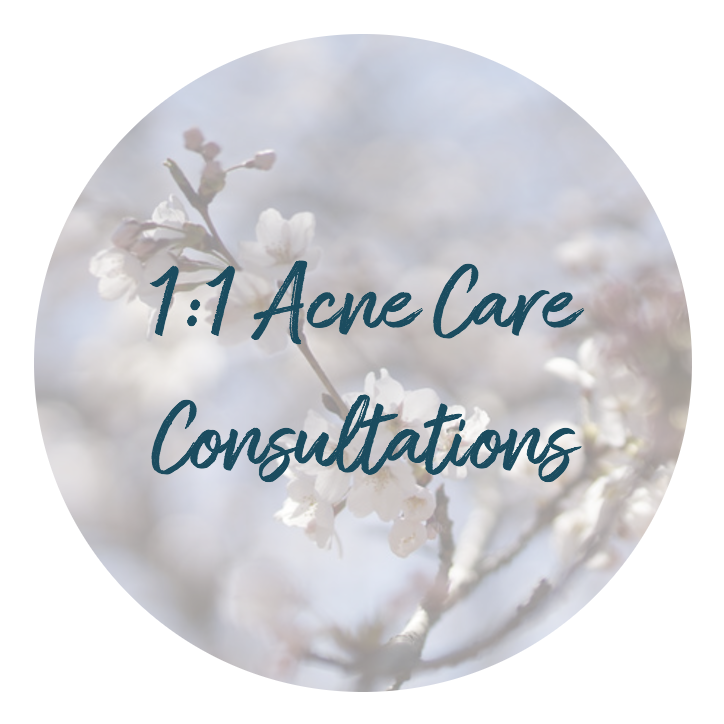 If you are considering the birth control pill as an option to treat your acne, think very carefully. The birth control pill is a temporary solution with a host of side effects. It is very likely that it will eventually worsen your acne and potentially lead to hair loss – not a great beauty (or health) solution. Instead, consider solving your acne by balancing your body from the inside out. This will give you glowing, permanent results (including more lustrous hair). If you are currently taking the birth control pill, consider stopping. When I stopped the birth control pill I had no idea what I was doing and the results were disasterous. Instead, put a solid plan into place for stopping the pill. Balance your insulin levels, support your liver, and nourish your gut for at least a month before stopping the birth control pill. Once you stop the birth control pill, continue on the program for another few months until your hormones have re-balanced themselves. 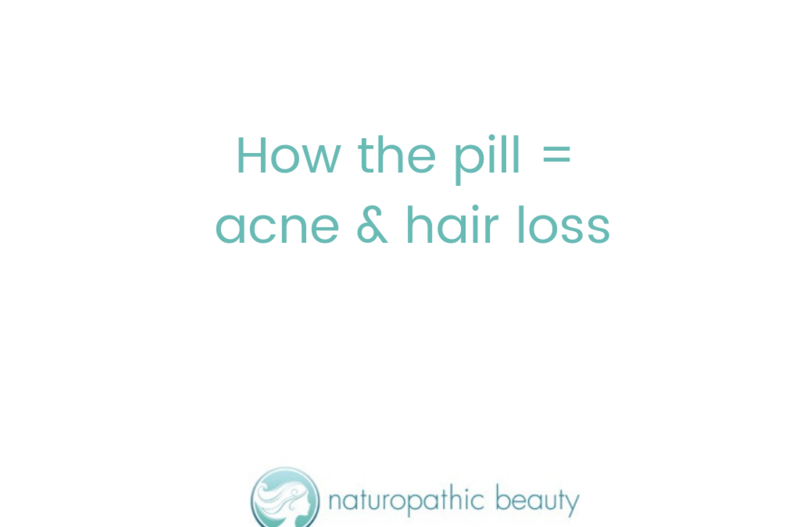 This will minimize the side effects of acne and hair loss as you come off the pill. 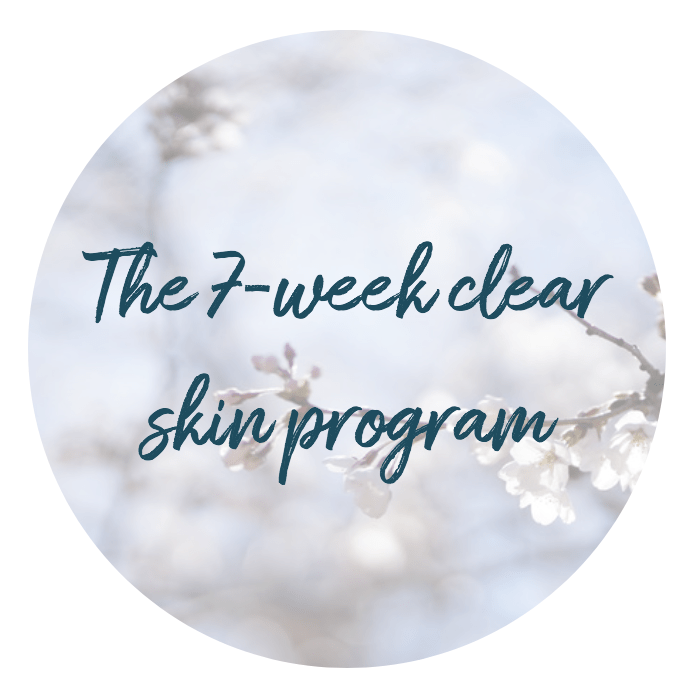 If you need help either solving your acne or coming off the pill, be sure to check out my 7-Week Clear Skin Program, which offers support for both scenarios. It has helped hundreds of women achieve clear skin – it is an easy, step-by-step program that I have used for years as a Naturopathic Doctor. The results are yours for life! For more information on my 7-Week Clear Skin Program, check out the link here. I can’t wait to help you on your clear skin journey!